Happy Park(ing) Day & welcome back! I’ve been meaning to end my blogging hiatus for the past month. Every week I’d tell myself that this would be the week that I would start blogging again. I’d figure out all the blog posts that I wanted to write and decide on one to start off with. But then the days would start to go by, and I would be as busy as ever, and each day I’d find a new excuse not to write. I could have never imagined how hard it would be to return to blogging after a long hiatus! 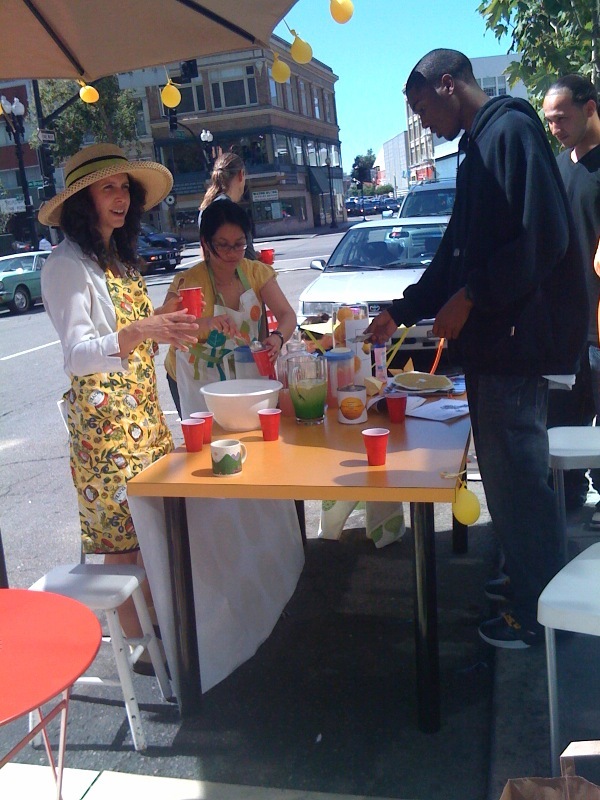 Last year’s Oakland celebration of Park(ing) Day was quite awesome. Here’s one of my favorite parks from last year, and you can see many more on last year’s post. 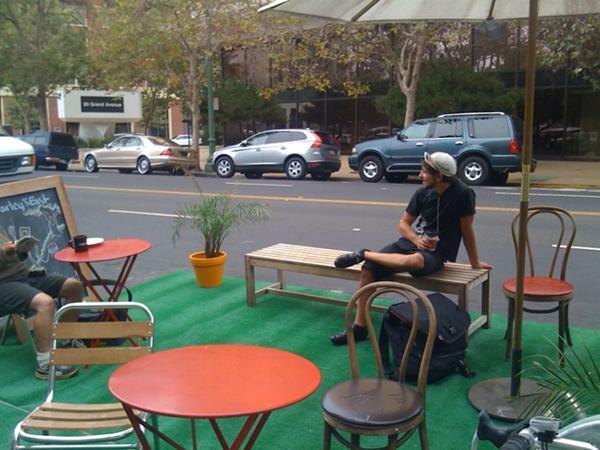 Actual Cafe Parklet – 6334 San Pablo Ave – Relax right on San Pablo at Actual Cafe’s parklet. 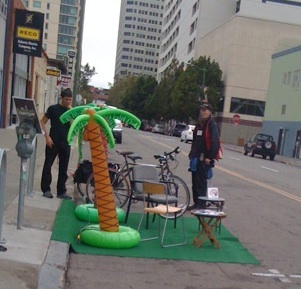 Tip Top Bike Shop – 4800 Telegraph Ave – Temporary park in parking spaces (parklet) in front of store on PARK(ing) Day. Sub Rosa Coffee/ Manifesto Bikes/ 1-2-3-4 Go! Records – 421 40th Street – Come check out 40th Street’s Parklet! It’ll be up and running at 11. Sip Sub Rosa coffee, admire Manifesto’s bikes, and discover new records at 1-2-3-4 Go! Montano Velo – 4266 Piedmont Ave – Temporary park in parking spaces (parklet) in front of store on PARK(ing) Day. Good Chemistry Baking – 3249 Grand Avenue – In partnership with Walk Oakland Bike Oakland (WOBO) and the East Bay Bicycle Coalition (EBBC), Good Chemistry Baking will be putting up a temporary parklet on PARK(ing) Day. Arizmendi Bakery (SATURDAY ONLY) – 3265 Lakeshore Ave – In partnership with Walk Oakland Bike Oakland (WOBO) and the East Bay Bicycle Coalition (EBBC), Penelope will be putting up a temporary parklet on on Saturday, Sept. 18th. Farley’s East Parklet – 33 Grand Ave – Relax on Grand Avenue, right in front of Farley’s East. Penelope – 555 12th Street – In partnership with Walk Oakland Bike Oakland (WOBO) and the East Bay Bicycle Coalition (EBBC), Penelope will be hosting a temporary parklet on PARK(ing) Day. Oaksterdam Tattoo – 815 Washington Street – In partnership with Walk Oakland Bike Oakland (WOBO) and the East Bay Bicycle Coalition (EBBC), Oaksterdam Tattoo will be hosting a parklet on PARK(ing) Day. I’ll definitely stop by the downtown locations and will post some photos here later today or tomorrow. You should check these parklets out, and if you do, feel free to send me photos at oaklandbecks at gmail dot com and I’ll post them here. UPDATE: Here are photos of the Bay Area Bikes and then the Farley’s East parklet. Both are worth checking out. Welcome back! I think Actual Cafe at San Pablo and Alcatraz is hosting a parklet too. I’ll probably pass by there on my way to Berkeley later, so I’ll send you a photo if it’s a good scene. Oh yeah, somehow I missed Actual Cafe. Just updated the list above with them and Bay Area Bikes. Will post photos shortly of a couple. Hey! Is there any reason that Farley’s couldn’t co-op a parking space permanently as a sidewalk addition? I’d support that with some “change” I can believe in. Have tons of spare quarters.